The same sense of soaring and gorgeous fruit, albeit in a different slightly blacker fruit tone, is once again self evident here, with the lightly tannic grip of the clay dominant soils of Chorey giving some chewy savory presence. Again, the sense of purity and class here is striking, with a solid sense of depth (50+ year old vines). A great little villages wine that is very representative of Chorey les Beaune's sturdy, savory virtues with even more charm than one often encounters. 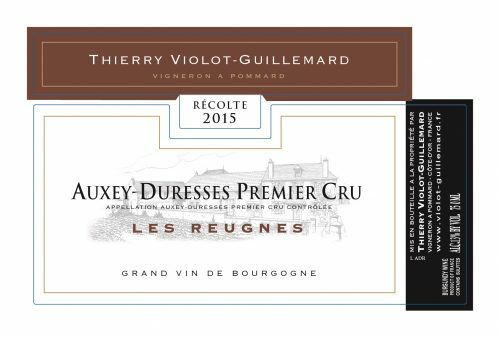 This is the first Auxey Duresses that I have ever offered, I believe! Based on Allen's input, the solar '15 vintage offers even more finesse than is commonly found from Auxey, a great opportunity for a "best first impression"..... "This too is moderately toasty with its pretty and fresh nose of pungent earth, dark currant, raspberry and a whiff of the sauvage. There is excellent underlying tension to the lightly stony medium weight flavors that culminate in a youthfully austere and somewhat rustic finale. This is very Auxey in basic character. (88-90)/2024+" Allan Meadows"
From a single lieu dit, les Maisons Dieu, that was once classified as a Pommard villages. This should be yet another tremendous single parcel Bourgogne value, a category that I champion with aplomb. Value hounds should get some of each Bourgogne, and thank me later....In their words: "The name of Maison-Dieu is linked to the existence of a building that welcomed the pilgrims on their way to Santiago de Compostela and acted as hospice that cared for the sick. This house would have been abandoned in the 17th century because of the proximity of the Hospices de Beaune. 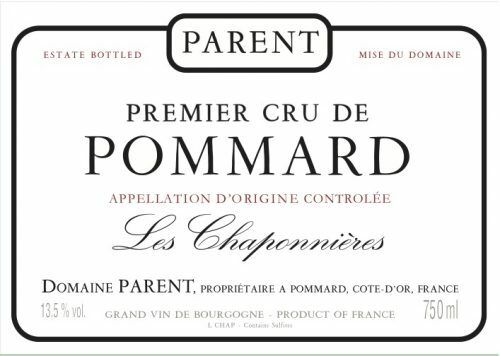 This parcel of vines in the Burgundy appellation is in the territory of the commune of Pommard. 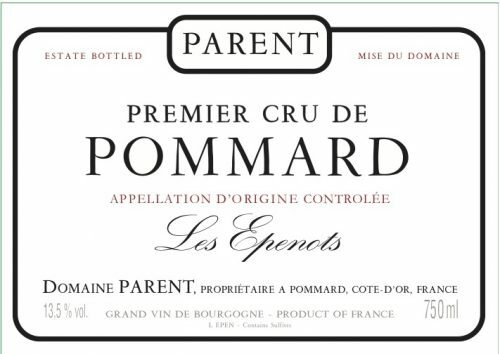 It is planted on the edge of the Pommard Village appellations, and was sold until 1937-1938, the date of the classification of regional appellations, villages, 1er Cru and Grand Cru, in the Pommard appellation." ""(Maison Dieu is the name of an actual lieu-dit situated in Pommard but Violot chooses to employ the term cuvée anyway; in the period prior to 1937 this well-situated parcel was declared as Pommard rather than Bourgogne). Reduction currently dominates the underlying fruit but there is both good freshness and verve to the delicious, round and almost velvety middle weight flavors that possess unusually good power and length along with fine depth. There is a trace of warmth but overall, this boxes well above its weight and is highly recommended. (87-89)/2021+" Allen Meadows -----> "particularly outstanding for their respective appellations and especially merit your attention." In their own words: "A generous wine with a balanced sense of substance and structure, enveloped by a fleshy and gourmand fruitiness. A spicy nose, with notes of raspberries and cherry accompanied by a touch of licorice. Ample in the mouth with elegant tannins, unctuous, and beautiful length". Seems like we have another reference point example here...... "(from 60+ year old vines). A mildly toasty nose consists of super-fresh and airy aromas featuring the cool essence of red pinot fruit that reflects discreet notes of earth and spiced tea. There is excellent detail if less refinement to the more concentrated broad-shouldered flavors that possess excellent depth and length on the serious and mouth coating finish. This is very Chaponnières, which is to say robust and powerful but not especially rustic or youthfully austere; that said, note well that ample patience will be necessary. (91-94)/2027+" Allan Meadows ---------> "particularly outstanding for their respective appellations and especially merit your attention"